Silvertree Internet Holdings uses tech to reach African consumers.We are a holding and operating company, based in South Africa, that conceives,launches, operates and invests in early- and mid-stage companies targeting the South African and Sub-Saharan African markets. We like business models that are simple or proven, with clear revenue streams, that take advantage of the mobile and Internet future, and that target growing markets and industries. Our operating brands and companies are organised into verticals by business model (click for more). We seek large, growing but inefficient verticals, and use tech to leapfrog old ways of reaching consumers. We focus on capital efficiency and operational discipline. Our brands are growing rapidly, but we also continue to build new businesses, and to invest into and acquire existing companies. Through operational synergies and sharing best practices, we are stronger than a simple sum of parts. 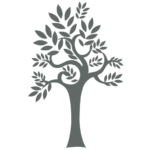 Silvertree Capital is our early-stage and speculative investment vehicle, for small stakes or for companies that are not yet fully integrated into the main Silvertree Internet Holdings portfolio. Please can i get an email address?? The Internet and mobile technology are the emerging tools to build our economy by establishing a clear business model that will satisfy the consumers’ demand.